Join Culcheth Jigsaw Library's Puzzle Club! 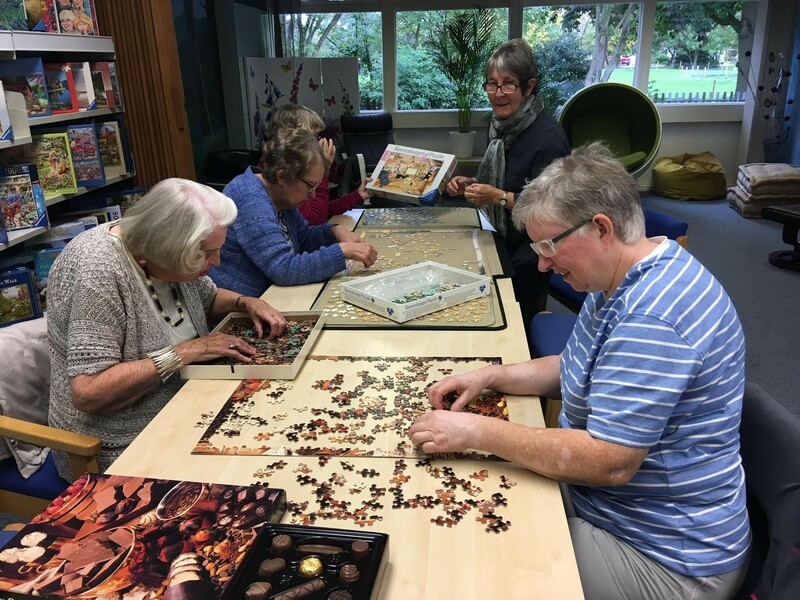 Culcheth Jigsaw Library have recently launched a puzzle club to provide an opportunity for people to meet up and help complete a jigsaw as well as being able to borrow a jigsaw to enjoy at home. 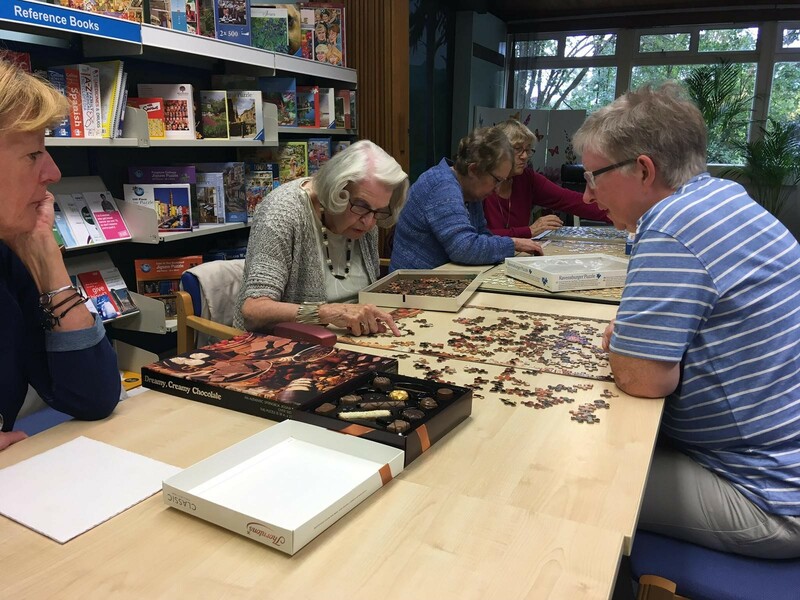 With over 50 different jigsaws available to borrow, the jigsaw club, which is being run by volunteers, is held in the local library every Monday afternoon in the village of Culcheth, Warrington. To show support, we have sent an array of Gibsons jigsaws for them to enjoy. Culcheth library was threatened with closure - so a group comprised of Local Residents and Councillors are working together to keep the library open in the existing location. The Friends of Culcheth Library (FoCL) was subsequently formed to guide this work, including engaging with the local community and implementing the many suggestions residents offered to widen the scope of activities offered within the library. The jigsaw club is just one of the many events that are now held at Culcheth Library. It is well known the importance of keeping a healthy mind, especially in later life, and that isolation can also be detrimental to your health. The jigsaw club combines both of these so you can enjoy a challenging jigsaw while socialising at the same time. The FoCL hope that the jigsaw club will appeal to a variety of people, including those suffering with dementia, and are working with a local care home to enable their residents to access the club. The opening session on 1 October got the group off to an excellent start - with a dozen or more interested visitors and around eight at times helping to complete puzzles. 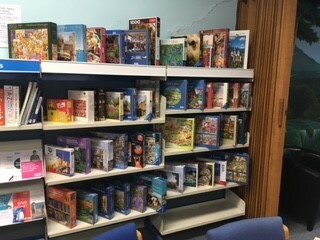 The jigsaw library already has fifty jigsaws on offer - providing plenty of choice for puzzlers!